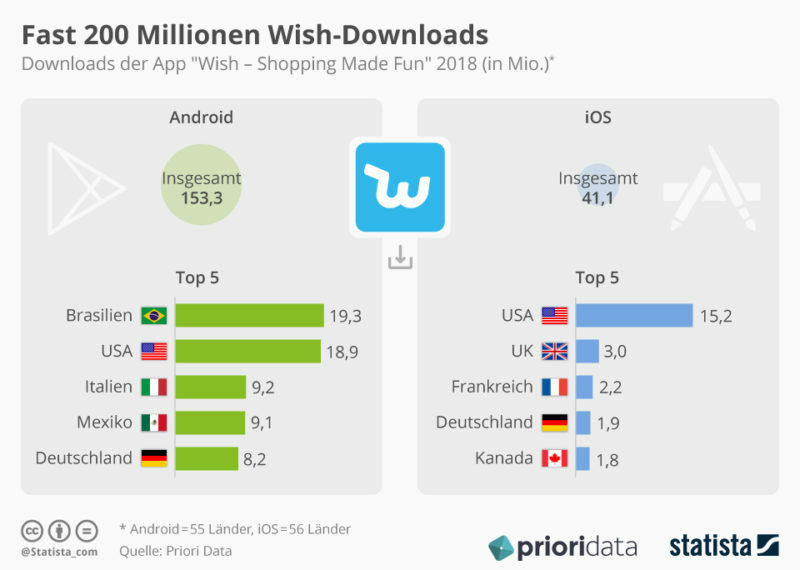 According to Priori Data, the “Wish – Shopping Made Fun” app was downloaded almost 200 million times last year – a little more than ten million of them in Germany. This makes Wish one of the ten most popular apps on Android and iOS. However, service and product quality are often poor. What’s more, counterfeits are very likely to be sold via the platform. At any rate, this is indicated by the sometimes very low prices, according to a recent article on t-online.de. Accordingly these products are sold above all by salesmen from China and Asia. Nevertheless, there are obviously many satisfied customers: “Many see the order as a kind of game of chance, where you can lose or win with a small stake”.